Today’s lunch is pretty simple. Camryn asked for more meat and cheese roll-ups so I made some for her using salami and mozzarella. 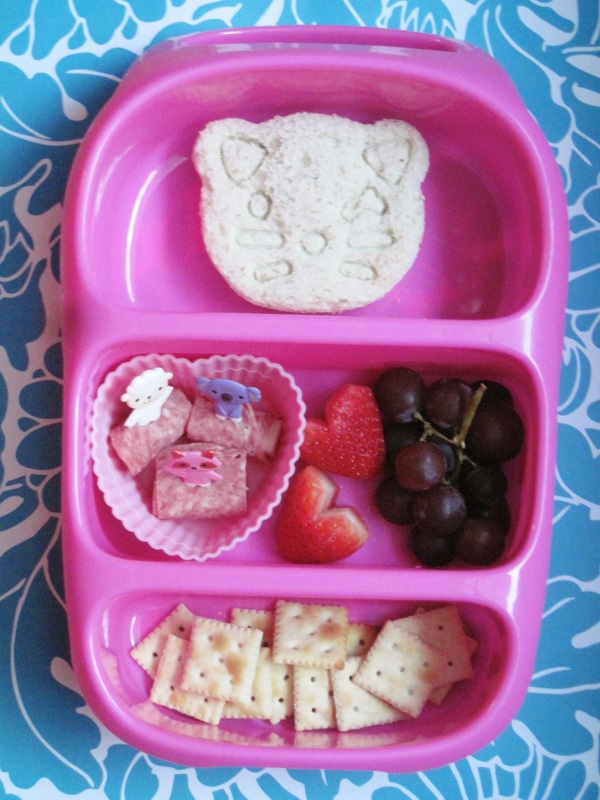 She also has a cat sandwich filled with Jif Hazelnut spread, strawberries, grapes, and tiny saltines.